Jeremy was very professional from start to finish. His quote was digital and detailed, unlike other fly-by-night arborists who wrote down hand written quotes. 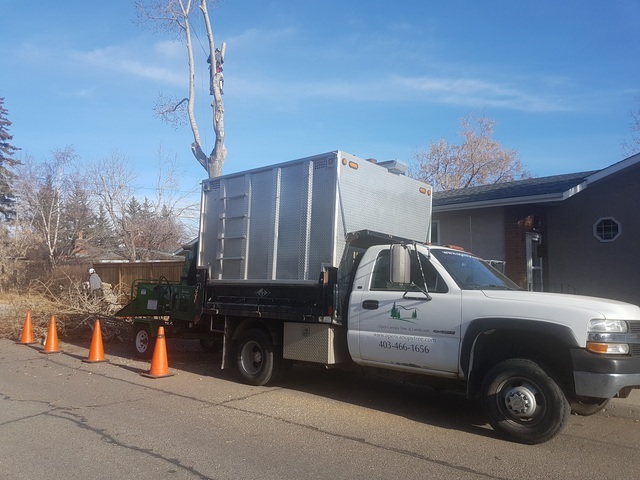 This is my first tree removal and I had heard horror stories of hiring the cheapest guys out there. Jeremy answers all questions I had, including providing WCB and Liability Insurance letters addressed to me personally dated one day after my request. On the day of the job, they arrived early and worked hard all day long. I was worried about the tree being close to my fence, but it didn't get a scratch. They removed the stump with his own machinery. 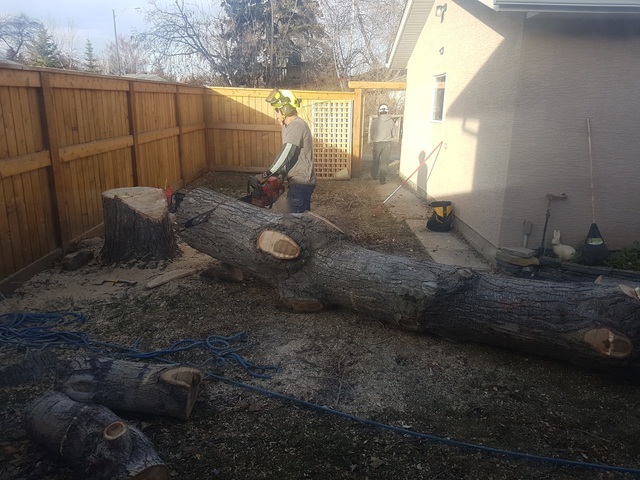 (Be wary of other arborists who have to hire out stump grinding which can cause timing delays or additional markups). 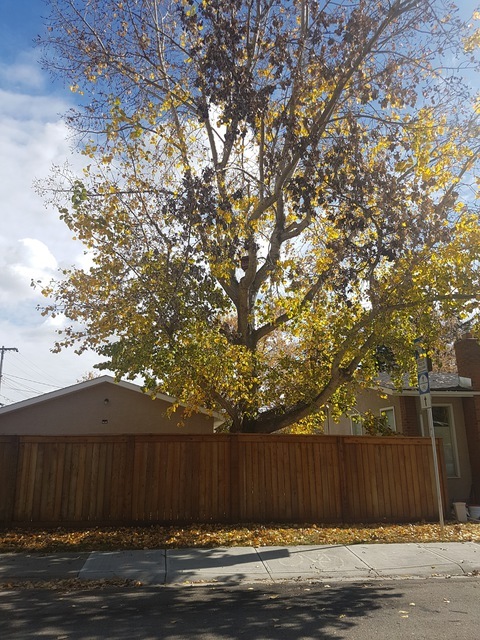 His team cleared all scraps and yard looked free of most leaves. 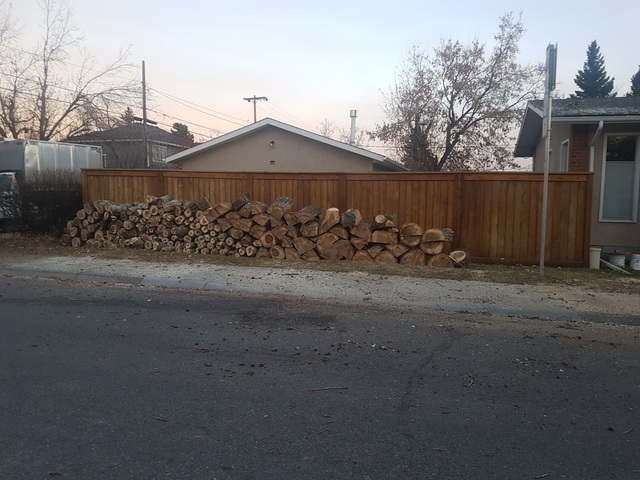 Jeremy even made a free kijiji ad post and all the wood was cleared within 12 hrs. They weren't the cheapest quote, but FAR from the most expensive, and without a doubt the best value in the city. Highly recommend. At Open Canopy we take special care to make sure the job is completed in the safest, most efficient way possible. This is done by using technical rigging techniques to get the tree down, while avoiding assets such as your fence and home. Thanks for trusting in our team to open up your yard!